As Ron Rapp commented after Part One of this feature, supersonic business jets work to entirely different economics than airliners. For private flights, the main driver is time saving and the enhanced productivity that comes with it. There’s no pressure to share the cost of a flight between as many passengers as possible, or to keep the ticket price competitive at the cost of catering and legroom. Or speed. While commercial air travel has “evolved” (for want of a better word) to focus almost exclusively on profitable city pairings and cost minimisation, the attraction of on-demand transport has kept increasing for high net worth travellers. This growth in private jet usage has created the perfect conditions for developing civil supersonics. And while it’s not an absolute shoo-in, Aerion’s AS2 is the clear favourite in this current running of the SST stakes. The announcement, in September 2014, of $3 billion in support from Airbus (Airbus Defence, interestingly) should be enough to get a prototype flying by 2019. What’s so special about the AS2? Last November’s firm commitment for 20 jets, worth $2.4 billion, from Flexjet LLC completes a unique accounting trinity – Aerion can boast development investment, buyer investment and return on investment. By now, though, I think we can all agree that developing civil supersonics has never just been about the money. For the first generation of SSTs, it was more about a country’s prestige and market position. So do we live in an age where enough travellers have the ego and argument to fly where nations fear to tread? I think we might. However there’s a lot more to building a supersonic jet than just wanting to. Flying past Mach 1 is a major technical challenge for any aerospace engineer. And the problems don’t just increase with acceleration – they increase exponentially: Mach 2 is a very different animal from Mach 1; and Mach 3 sets a whole new level of difficulty and danger. 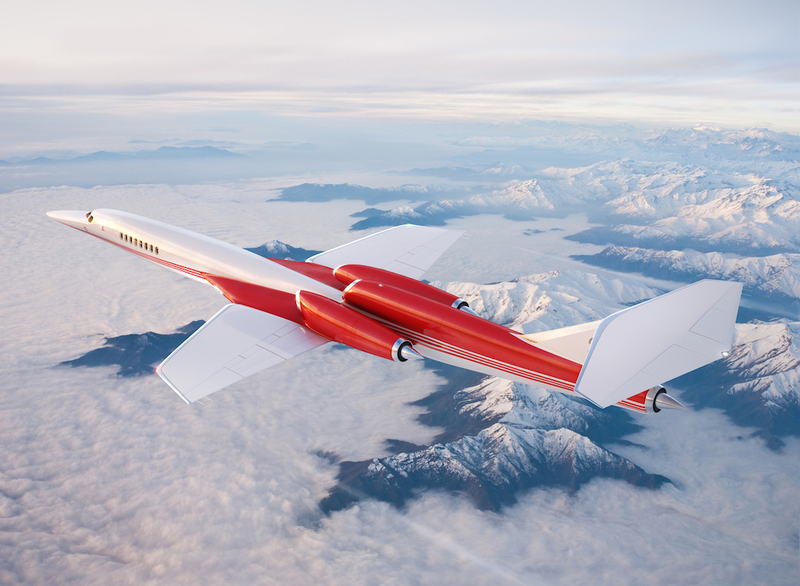 So once again, this article about the Aerion AS2 isn’t really about the AS2 at all. More about the air around it – especially the technical hurdles that stand between today’s promises and tomorrow’s supersonic commute. Not because I think those hurdles will make the AS2 or any other SSBJ impossible. Rather, to point out why it’s still not inevitable – and to remind us just how amazing going past Mach 1 in your shirtsleeves would/will really be. At first glance, it would be easy to think all those technical issues have long been mastered. Surely the answers are ready to go? After all, we’ve been flying supersonically since the Bell X-1; rank and file military pilots have been doing it in level flight since the F-100; and passengers have sipped champagne at Mach 2 since the Tu-144 and Concorde. That’s all true. And Concorde crossed the Atlantic supersonically for 25 years without a single serious incident. But it would be naive to assume that the technologies of supersonic cruise come in a one-size-fits-all bundle. SSBJs do have the edge on earlier SSTs in that they’re small. Obviously, putting three powerful turbofans on one small, sleek airframe will give you a lot of go-fast. Plus, designing for only 12 people does away with the bigger aerodynamic, structural and propulsion issues of an airplane like the 277-seat Boeing 2707. 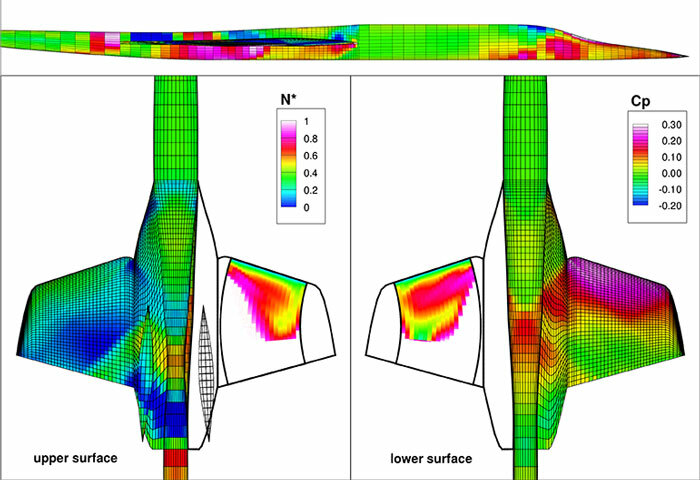 Still, it’s not all that simple: Every supersonic airframe throws up it’s own package of problems, as countless engineers have found to their cost. 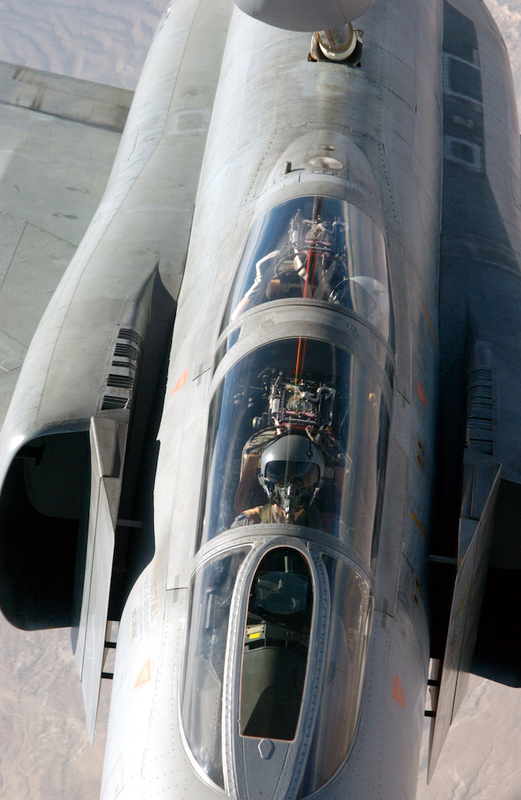 The F-111’s intake problems are a case in point. Getting that complex, variable geometry, ground hugging airplane to fly faster than sound should have been the easy part. In the end though, convincing the air to enter the engines smoothly took over two years of research, redesigns and two rounds of ‘Triple Plow’ modifications. That’s just one example. The wizardry that goes on around a supersonic power plant is eye-watering. Whereas subsonic jets can basically house their engines in an aerodynamic tube, supersonic flight demands incredibly complex nacelles. The two big problems are, paradoxically, airflow and heat. Apparently a jet engine can have too much of a good thing. Let’s start with airflow. If the burners in subsonic jet engines are like candles in the wind, supersonic flight is like lighting matches in a hurricane. The solution is a variable geometry inlet which generates a draggy supersonic shockwave and positions it in front of the compressor blades, to slow the inrushing air and restore its static pressure before it gets near the fires. Those big ramps on the F-4 Phantom II did the job to perfection. 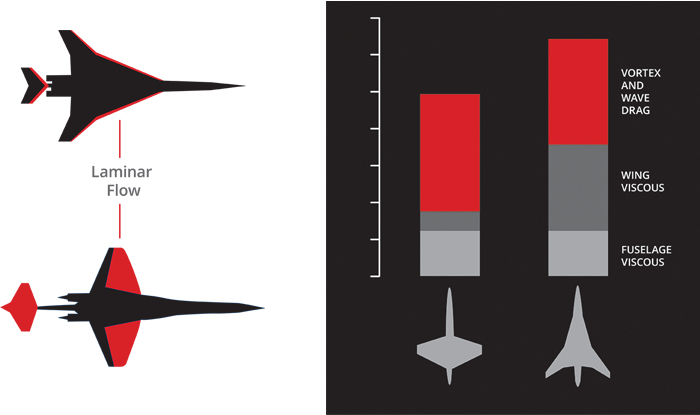 On the SR-71, huge inlet spikes in the maw of each engine did the same job, moving back up to 26 inches or 66cm (take a second to measure that with your hands) over the speed range of the aircraft. Now let’s turn to heat. The most elemental energy equation of a jet is heating up air so that it will expand rapidly and blast out the back end. When the incoming air is already several hundred degrees Celsius, that becomes tricky. Not impossible mind you, but the reduced difference between inlet and outlet temperatures makes the engine a lot less effective. Enter a complex solution of bleed, inlet and bypass ducts that move air around the engine instead of through it. At supersonic speeds, air that’s been tuned by the inlet is so compressed by forward motion alone that some can be diverted straight into the burners or the efflux, to provide a cooling flow around the engine and reduce exhaust drag. Needless to say, every airframe/powerplant combination is different. So for any supersonic jet, the engine housing alone becomes an incredible complex piece of machinery. Whatever the right design, it also needs to be highly variable in order to keep the fans turning efficiently through the entire performance envelope – from taxiing around the airport; to sustained high altitude, high speed cruising flight; to slow, high AoA final approaches. That mighty spike… Just ONE of Lockheed’s solutions to the myriad problems of Mach 3 cruise. This is Kalamazoo Air Zoo’s unique SR-71B trainer, #61-7956. (Wayne Silver | flickr.com CC BY 2.0). Engine performance is only half of the heating problem. 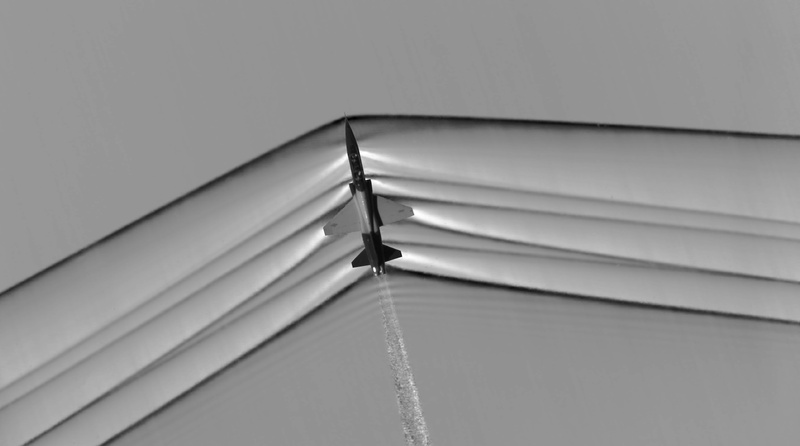 Even the frigid, thin air of the stratosphere creates a lot of friction beyond Mach 1. Many military jets are only designed to fly faster than sound in bursts; most are time-limited past Mach 1 to stop heat build-up becoming a problem. Frictional heating defined Concorde’s maximum performance. Determined to use nothing more exotic than aluminium, the engineers settled on a special alloy developed by Rolls-Royce for piston engine blocks, called Hiduminium R.R.58. 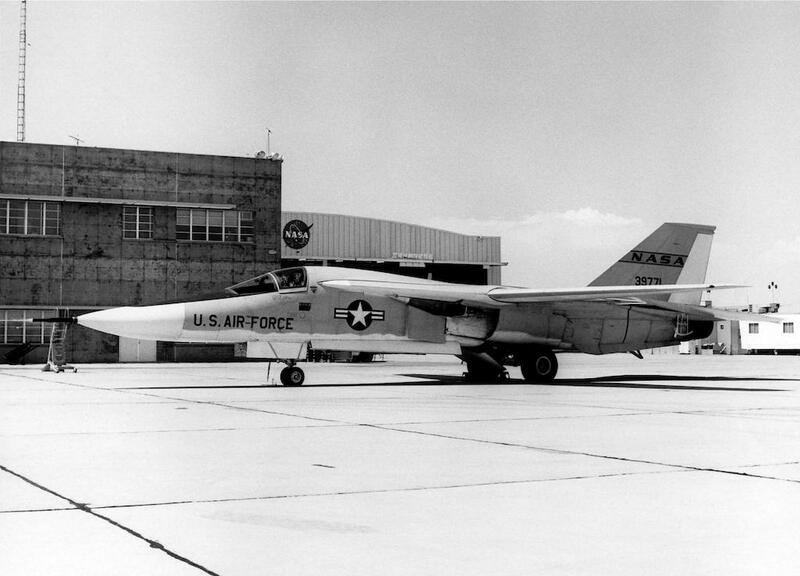 It had a limiting temperature of 127ºC which translated into a sustained cruise of just over Mach 2. Even then Concorde wore a shield of bright white paint which blocked some 11ºC of radiant heat absorption. The short-lived dark blue ‘Pepsi’ Concorde F-BTSD was limited to a maximum of 20 minutes above Mach 2. For all that, the airplanes would cool as they climbed, heat up in high speed flight, cool with deceleration, then warm up again as they came back to earth. Two major cycles per flight. That’s tough on any metal. 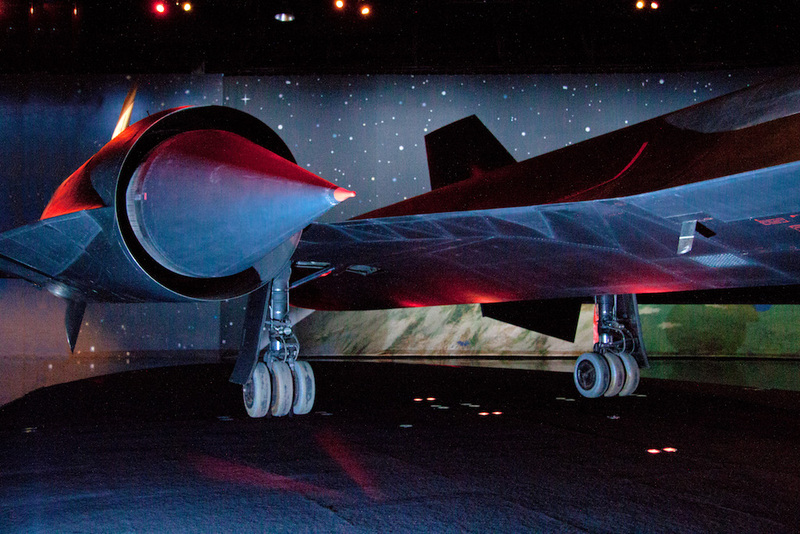 To sustain a cruise of Mach 3 (and above) Lockheed chose titanium alloy for the SR-71 Blackbird. It’s likely the same solution would have been used in their L.2000 and Boeing’s 2707. As I mentioned earlier, Mach 3 is a world apart even from Mach 2. Along with the sound barrier, it’s through the ‘heat barrier’ – into a regime where aerodynamic heating can melt a conventional aluminium airplane. In 1972, NASA used an X-15 to investigate heating in Mach 3 cruise. At that speed, they found it took just 15 minutes for the leading edge skins to hit more than 270ºC. Ouch. 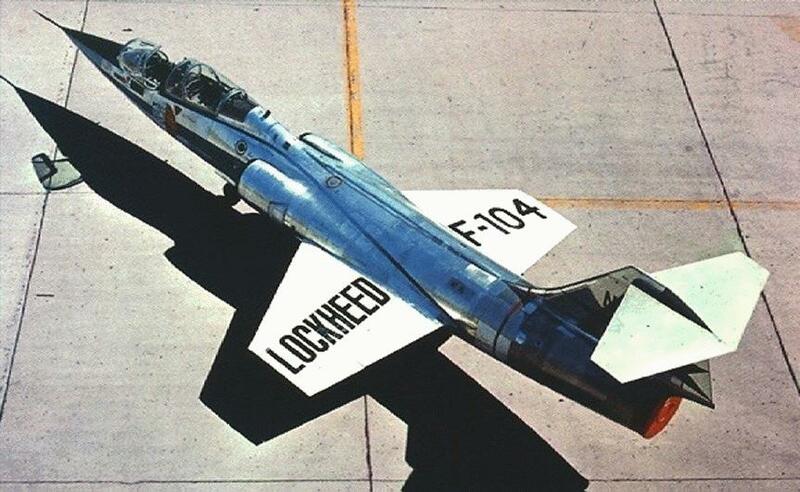 Lockheed’s then-exotic choice required specialised tooling and complicated manufacturing processes. Fortunately for them, their customer had the deepest pockets in the world. The operational problems, especially thermal expansion, were solved with the Blackbird’s famously loose fitting parts and lesser-known corrugated wing skins. 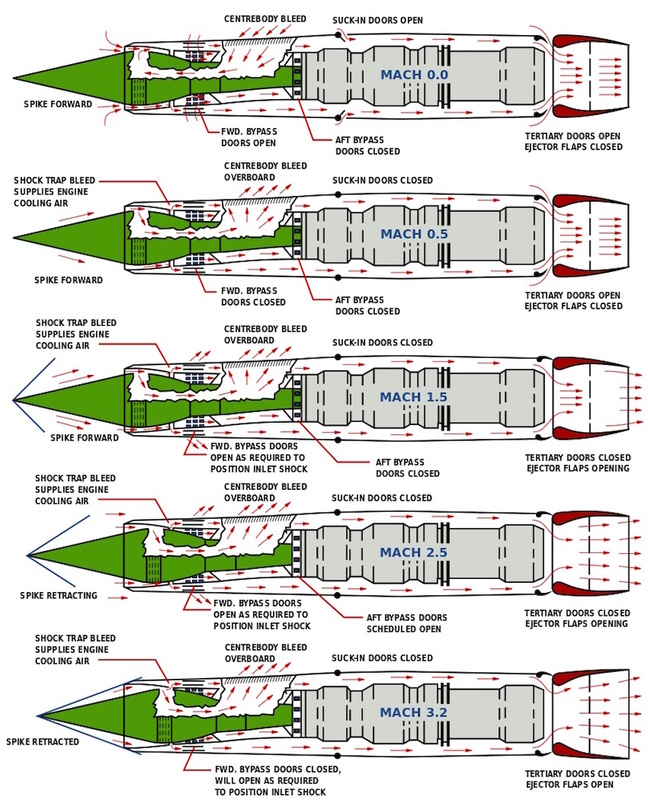 Even at Mach 2, Concorde would ‘grow’ by some 30cm (12 inches) during supersonic cruise. Fuel adds another layer of complexity. Like the engine nacelles, fuel stowage on a supersonic jet is suddenly a lot more complex than for any subsonic aircraft. Conventionally, the fuel will need to do more than simply burn at the appropriate time. 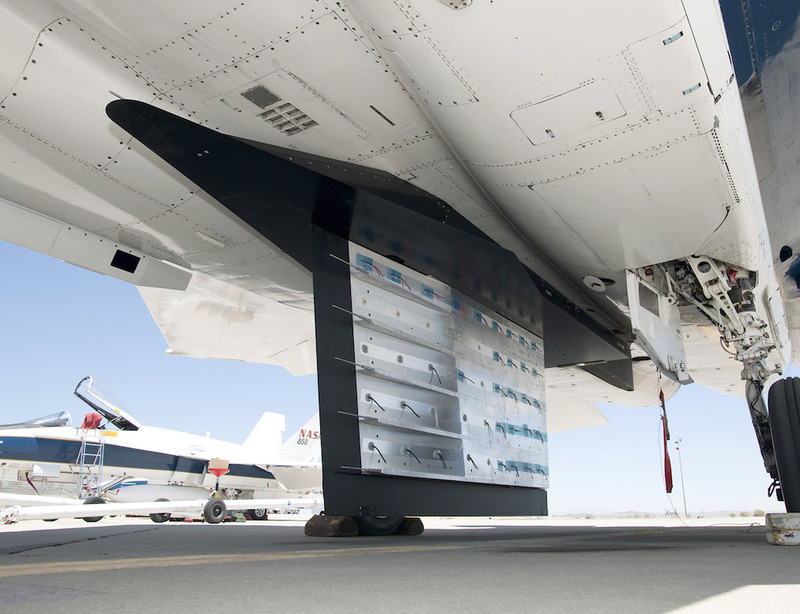 It’s considerable weight will also be used to trim the aircraft – transferring fuel between different tanks can help offset the aerodynamic pitch up and “Mach tuck” pitch down as the transonic shockwave plays across the aircraft’s wings, fuselage and control surfaces. Concorde also used its fuel as a heat sink, carrying heat away from the leading edges and finding a cure for fuel icing into the bargain. Then again, who wants to ride on a ton or more of boiling hot jet fuel? And those words “ton or more” are weighty ones in every sense. Flying beyond Mach 1 is thirsty work for which the military, again, has a simple solution – you take off, refuel at altitude, make your high speed run, then tank again for the flight home. Even private jet clients might shy at that option. So all the fuel they need to reach higher flight levels and cruise at higher speeds will have to be carried up from ground level, adding weight plus bulk that still needs to be faired into the slimmest possible design. No thick wings or boxy centre-section tanks here, but possibly a longer fuselage – with compounding weight, stiffness and thermal expansion problems. That fuselage is already in trouble because clients don’t just want to fly at Mach 1 or more, they want to do it in their Armani shirtsleeves. That’s trickier than it sounds. Firstly, higher and faster go together like strawberries and cream. To maximise speed and fuel economy, Concorde cruised at FL600 (60,000 feet), where the air is even thinner than today’s typical FL350–FL400 altitudes. Maintaining a familiar 6,000 to 8,000 foot cabin altitude at that height applies a bigger pressure difference between the inside and outside of the aircraft. This demands extra strength, which adds extra weight. Worse still, any hull breach or other sudden loss of cabin pressure above 50,000 feet will give passengers a useful time of consciousness in the order of 15 seconds – and that’s only if they’re physically fit. Most passengers will be suffering onset hypoxia faster than they can process the implications of an emergency oxygen mask suddenly appearing in front of them. It’s a certification nightmare that will likely be solved by insisting one member of the flight crew is always wearing an oxygen mask. Then there’s the boom. More than anything (including the 1970s oil crisis and Boeing’s 747) the future of supersonic jet travel was killed off by its sonic footprint. Banned from all US skies for a while, and overland flight for most of the world, Concorde never had a chance of taking over from its subsonic competitors, even without their huge advantage in cost per seat mile. On flights to Mexico City during the late 70s, as one particularly galling example, Air France pilots would have to decelerate Concorde from Mach 2.02 to Mach 0.95 before they reached the Florida peninsula, then power back up to Mach 2 across the Gulf of Mexico. It was an incredibly costly point of failure. Now that supersonic flight is ‘inevitable’ again, NASA has put several years of research into designing away the worst of the boom. They really turned up the heat in November 2010, and have been working on the problem with several industry partners ever since – analysing the contributing factors and testing design ideas to help minimise sonic booms. 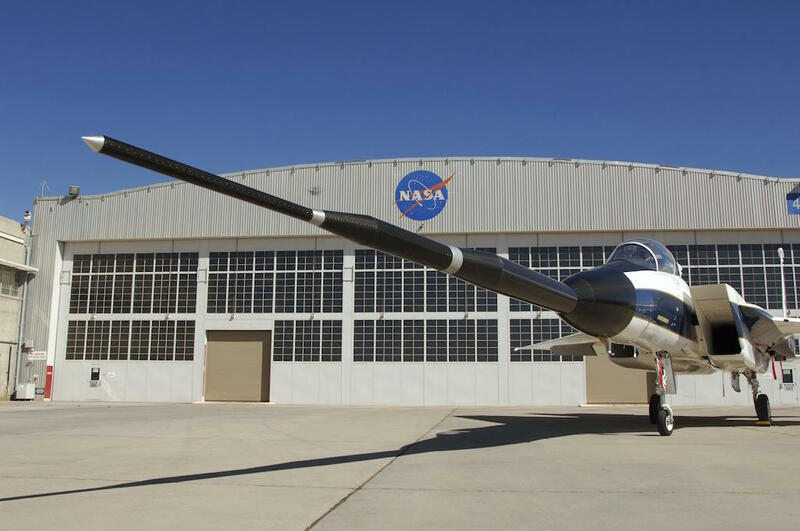 On June 4th, 2015, the agency announced $2.3 million of funding for research into the remaining barriers to commercial supersonic flight, especially sonic booms and high altitude emissions. So is that ALL that stands between us and supersonic flight. Not quite. There’s still the increased exposure to solar radiation, which doubles in the 20,000 feet between a conventional FL350 and supersonic-friendly FL550. It’s more of a concern for regularly scheduled pilots than convertible-driving movie stars and high-stress execs, especially as their exposure is balanced by the shorter sector times. But there’s no engineering solution for this one: pilots had a radiometer in the cockpit, and instructions to descend below 47,000 feet as soon as radiation levels became too high. Try explaining that slow-and-descend manoeuvre to your rich, tardy, alpha-passenger (through your oxygen mask). So what’s different about the AS2? 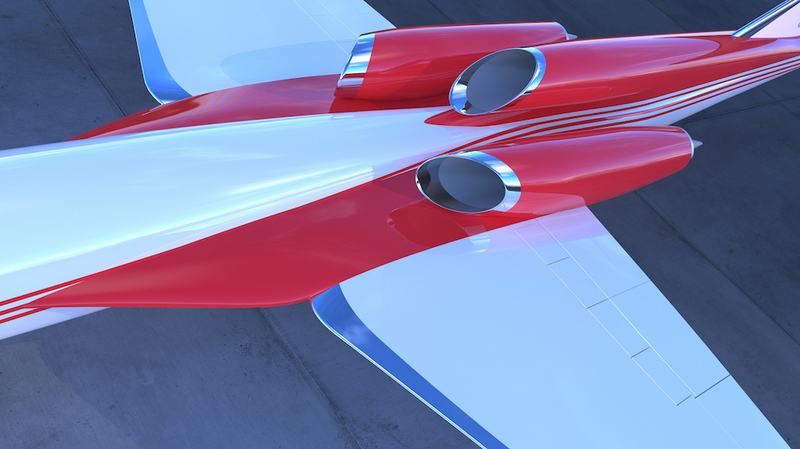 It’s no trade secret that Aerion has been very clever with the AS2, but exactly how clever may still surprise you. For example, to date the company’s major success hasn’t been their jet program at all, but their proprietary software for predicting the performance of supersonic Natural Laminar Flow (NLF) airfoils. Okay, that is technically part of the overall SSBJ program, and an SSBJ is the company’s raison d’etre. But if aerospace companies were 12 year old girls, Aerion’s software would be the latest Taylor Swift album. More. It is the key to companies developing a whole range of faster, more fuel efficient aerospace products – from supersonic UAVs to better fins for rockets and smart bombs. So Aerion has created revenue on the road to supersonic flight. Genius. Next, there’s the basic technology. We’ve known about supersonic flight for over 65 years and have already built planes that could cruise at Mach 1, 2, 3 and even the X-15’s Mach 6. The burning problems of propulsion, structures, materials, aerodynamics and efficiency have been solved at least once, and aviation technology has continued to advance on all fronts since then. Aerion has been able to take all that experience and add recent innovations like highly aerodynamic composite forms, digital avionics and NLF airfoils, to bring the AS2 so close companies like FlexJet can taste it. Airbus’ input is critical in this area, with that company contributing their state of the art systems, composites and fly-by-wire expertise to the AS2’s development. Because of the forces transonic shockwaves generate, powered control surfaces are must for getting past Mach 1. 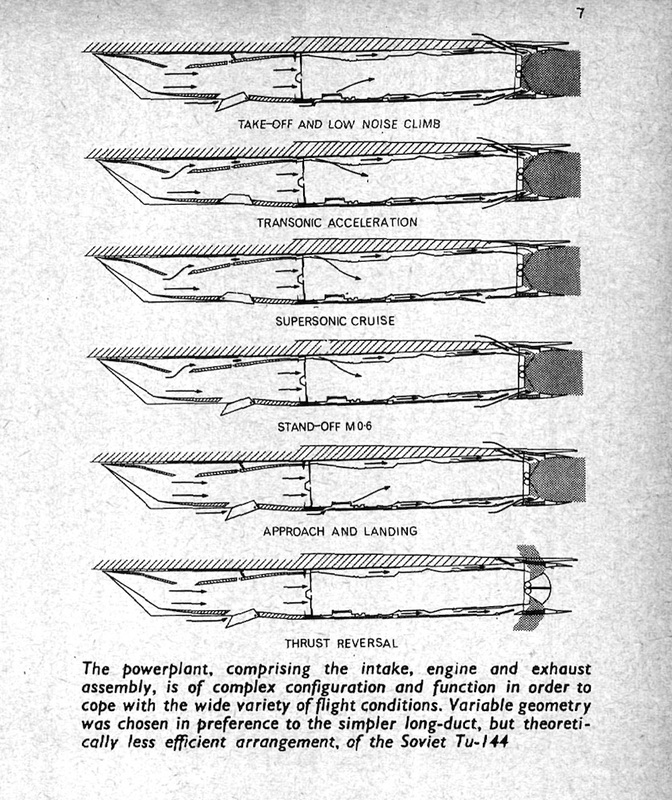 Basic hydraulics work, but Airbus’ computerised control systems are infinitely more sophisticated. But I think the single factor that will push Aerion to success is the strategy they’ve adopted. Behind all the hype of producing the world’s first viable SSBJ lies a very sensible and surprisingly humble aircraft. It’s a critical, carefully under-played difference. So far, the only successful SST has been Concorde – that elegant, 100 passenger piece of Mach 2 genius. And I’d argue that the failure of the great 1960s SST dream was embedded in Concorde’s success. By building to the practical limits of engineering, the Anglo-French team forced the Soviets to fatally cut corners and the Americans to aim far too high. Well, too fast, anyway. Strictly speaking, it wasn’t the sonic boom that did for Concorde, so much as the flight bans which came as a result. 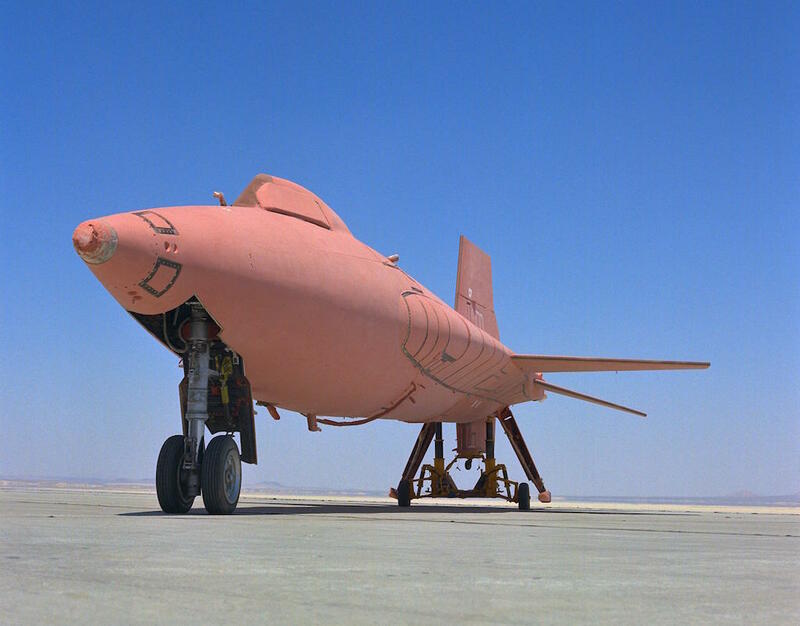 But whether the US embargoes were driven by civic concern or commercial pique, no sonic boom would prove as untenable as the cost of engineering a 273-seat, Mach 3 SST that could out-shine Europe’s game-changer. In stark contrast the AS2 doesn’t brag about Mach 3 performance, or even push for Mach 2. It promises a far more achievable, affordable and deliverable max cruise of ‘just’ Mach 1.5. 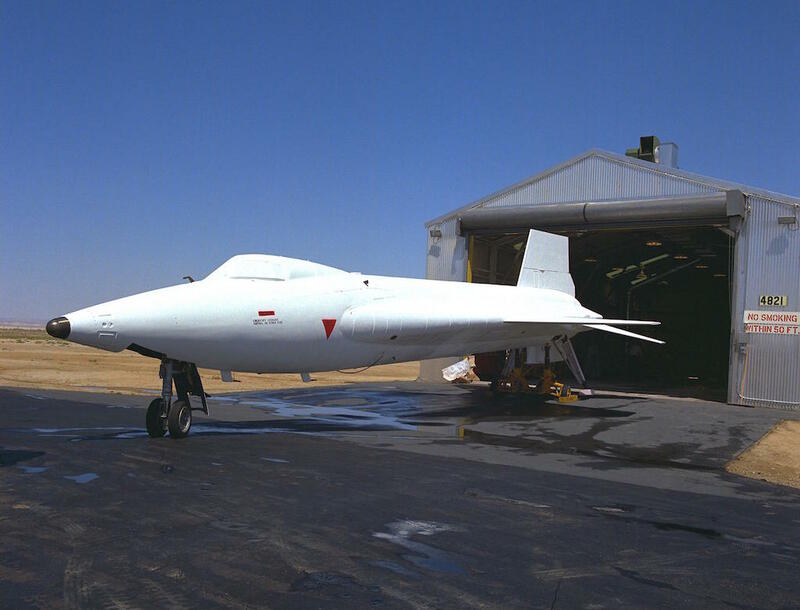 Long-range sonic cruise is Mach 1.4 for flights up to 4,750nm. What’s really interesting, given the notes about fuel burn above, is that the maximum range of 5,400nm is achieved at a transonic cruise speed of Mach 0.95. Even with the drag of shockwaves playing on the airframe, flying at that speed is still more fuel efficient than super-thirsty supersonic flight. Modest Mach numbers aren’t just more fuel efficient. They also duck the serious aerodynamic heating issues of high speed flight – although Aerion has still plumped for titanium leading edge surfaces – and help limit (in partnership with the latest design research) sonic boom propagation. 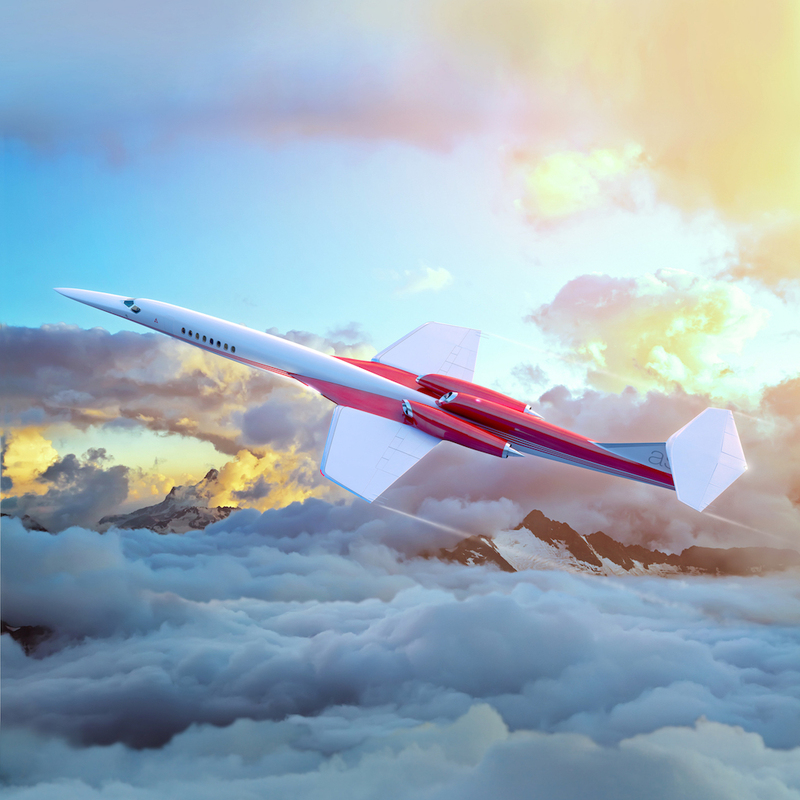 Aerion actually promotes a ‘boomless cruise’ option of up to Mach 1.2, which could make supersonic flights within the continental US a possibility. So while the promotion of a supersonic business jet conjures up visions of a Blackbird with club seating, the reality will be far less speedy (though rather more luxurious). Flight at the end of the tunnel? It’s now fairly safe to assume that Aerion’s ongoing R&D partnerships with NASA and Airbus will lead to an SSBJ that does what it says on the tin. And once the market is open, you can bet the big bizjet incumbents like Gulfstream and Cessna won’t give up their share quietly. I’m sure those companies are already working on strategies, if not actual aircraft. Whether they’ll commit the cash and technology to compete on size or speed will have to be seen… It’s a slippery slope, still haunted by ghosts of those giant Boeing, Lockheed, Douglas and North American SSTs. Meantime, this really should be “when, not if” for the AS2, as Aerion Chairman Robert Bass put it, and production airplanes will start slicing near-boomlessly across our skies from 2023. There’s just one other thing I haven’t mentioned yet… Let’s call it luck. As the entire SST saga (so far) has shown, any number of random, left-field political or economic changes could still stop supersonic transport cold. Again. Major conflict, financial meltdown, economic woes, oil shock, political machinations, infrastructure problems… all those things that no amount of aerospace brilliance can solve. And manufacturers will walk away from a significant investment and full order books if the numbers no longer add up. Remember, Boeing had 135 firm orders for the 2707 when they pulled the pin. Twenty AS2s are nothing compared to that. With all those factors in play, achieving safe flight beyond the sound barrier isn’t just miraculous – it’s the miracle of safe powered flight increased exponentially, to the power of whatever Mach number you hope to reach. So while I can’t wait to see the AS2 fly, we’re not there yet. For now (sorry Mr. Bass) I’ll continue to whisper “if, not when”, just in case. You sir are a steely-eyed pen-wielding missile man. Color me impressed with your ability to write about 21st century supersonic bizjets just as well as you do about man’s early experiments with powered flight — and everything in between, of course. I, too, looked at the AS2 renderings and wondered where the ramps, cuffs, and other accoutraments were hiding. I wouldn’t be a bit surprised if the final product was considerably less svelte than the marketing material suggests, even if the general form remains unchanged. It’d be amazing if the product came to market on schedule, but between the revolutionary (for the biz jet sector at least) technology and the copious amounts of cash required, I’m not holding my breath. Perhaps the ones to watch are those who *haven’t* announced a supersonic aircraft yet. Whichever way it goes, it’s exciting to live in an era when private companies like SpaceX and Aerion are doing things that, as recently as a couple of decades ago, only sovereign entities could hope to achieve. It’s not landing a man on the moon, but then, mankind can’t be expected to sprint at that speed every day. Thanks for the new job title! Yes, we live in exciting times …for those who enjoy waiting. A couple of years back we were holding our breath over private space flight. Since then, we’ve exhaled and let prudent development run its course. 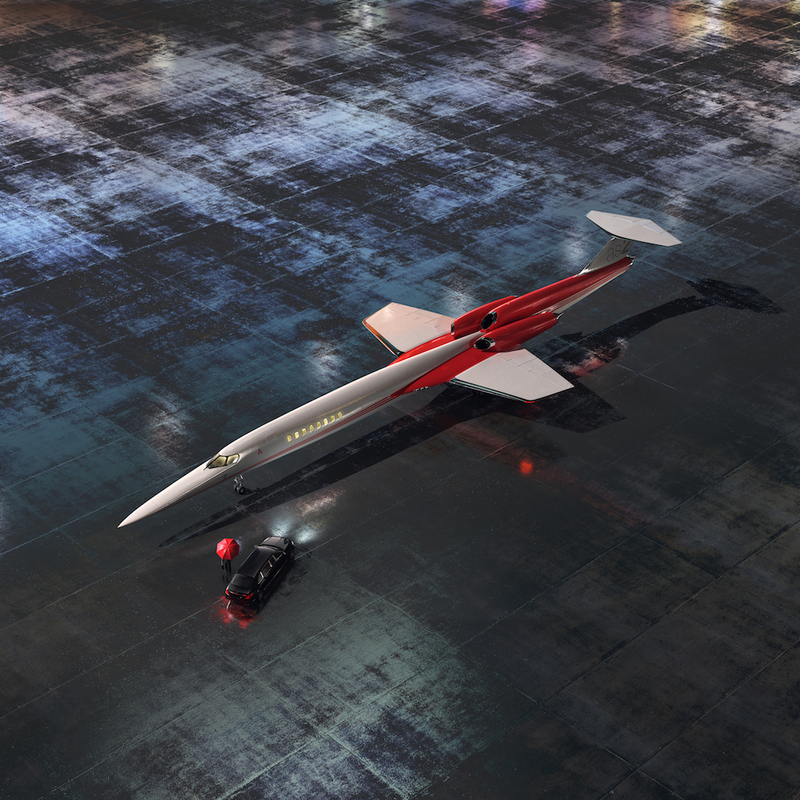 No doubt, we’ll also see Aerion ‘go dark’ for a while, as they work through all the bumps and hurdles that don’t affect the artist’s rendering. My great hope is that their AS2 won’t go the way of the 2707, which devolved from a wide body swing wing vision to a big Concorde to a bust as all the challenges came to light. Meantime, you’re absolutely right about the other companies. Gulfstream, for one, has been working on SSBJ projects for decades – first with Sukhoi, later with NASA. Whatever has held them back, I’m sure they could iron out the remaining kinks as quick as anyone once they felt the market was ready. I too believe Gulfstream is the one to watch. They’ve certainly been public about their research partnerships with NASA, Sukhoi, and others. Their status as a subsidiary of General Dynamics should pay off on something like this. We’ll see if my prediction is accurate. You made a very sage observation regarding the speed with which these companies will dump a project if profitability becomes doubtful, regardless of the size of the order book. It’d be interesting to imagine an alternate reality wherein the speed restrictions over land hadn’t been put into place and the Lockheed & Boeing projects had gone forward sans oil crisis. What would aviation look like today? Well, Gulfstream have 9 more years to make a soothsayer of you. I think you’re pretty safe! Gulfstream is on record as seeing no future for SSBJs until overland flights are legal, so it’s pretty clear what they’re waiting for. If Aerion does deliver a boomless cruise, Gulfstream may jump to dust of their X-54 and Quiet Spike technologies. New IATA standards for ‘acceptable’ overland booms, due soon, will at least level the global playing field. And Quiet Spike is meant to reduce Concorde-level booms by a factor of 10,000! 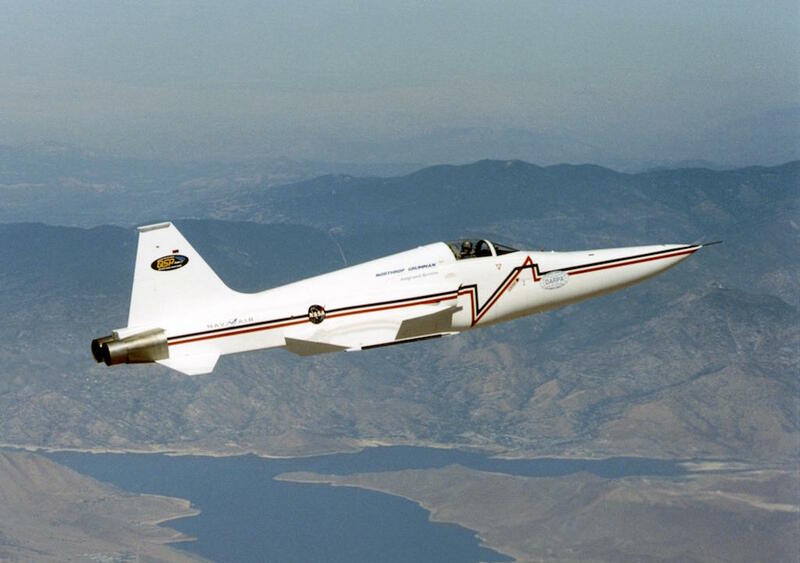 The X-54 also has a more conventional wing, with a long-delta leading edge extension. My prediction: That similar extensions will be the most obvious change on a production AS2, if only to deliver the high alpha handling needed for low speed approach and landing. As for those earlier SST projects… I’m nervous about lifting the lid on that story; I smell a carefully buried scandal. The FAA ignored Lockheed and NAAs experience with Mach 1, 2 and 3 airframes to select Boeing, which had exactly none. I suspect they just chose the snazziest proposal in an effort to leapfrog Concorde. The inevitable result gutted Boeing and Seattle; the Commercial Airplanes workforce went from 83,700 employees in 1968 to 20,750 in ’71. No wonder the pain lingers. Still, in your unfettered parallel universe, I’d fall back on MY prediction that global travel would keep going higher and faster, and we’d now be seeing suborbital airliners (well, bizjets anyhow) linking world cities in under two hours. Aerion, then Gulfstream, then Virgin Galactic… In our lifetime. 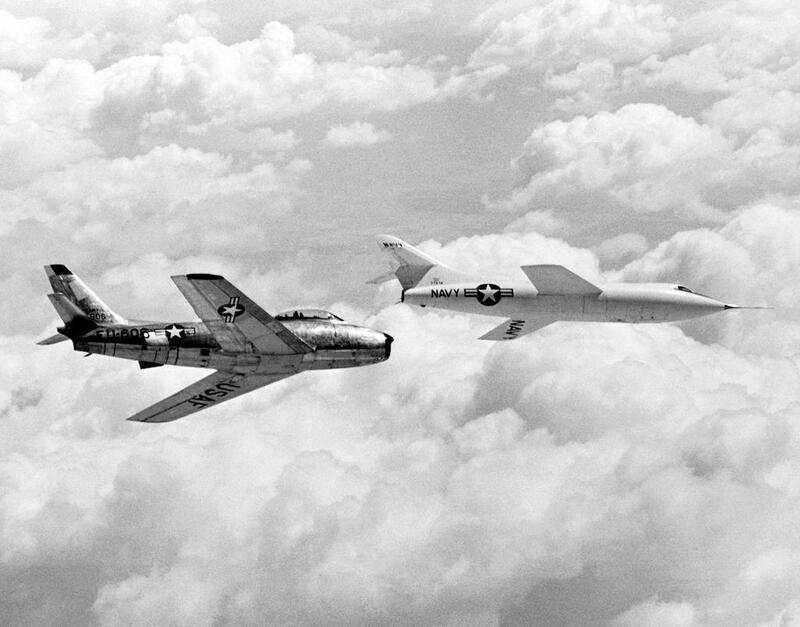 Is it a coincidence how similar this looks to the F-104? Nice observation! And the short answer is ‘probably not’. After all, the atmosphere and aerodynamics haven’t changed since the F-104 was designed in the 1950s – and Mach 2 is still Mach 2. Beyond that, it’s very common for designers to borrow ideas and layouts that have already proven successful. Look how much the F-16 owes to the P-51, for example. With aircraft like the F.104, U-2, and SR-71 to their credit, Lockheed’s people were masters of high speed flight. So it makes sense for modern designers to look to those ideas as a basis for new designs.